Planning permission for the site was given on 8 November 2015. The plans are unchanged except for a revision to the driveway which now makes provision for two parking spaces and a turning area. 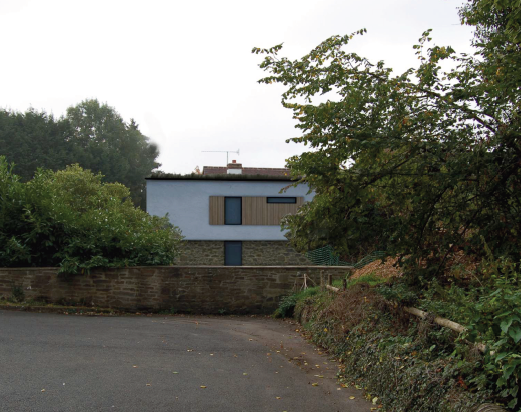 A planning application has been submitted for a detached three-bedroom house on the site of the domestic garage adjacent to Brook Cottage, Fishmore Road (14/04637/FUL). The client’s son is looking to move back to his home town with his partner, both to live and work long term following his graduation. Due to sharply increasing house prices in South Shropshire, this would be made impossible and the couple would be forced to commute to work in Ludlow. This solution would provide a future-proof home for the residents, allowing them to start a family at the property without the need for a vehicle for transport… The completion of this build will result in the client’s son moving back to the area he grew up in, living closely with his parents in a house that will provide a sound and sustainable future for him and his family for years to come. The site has been thoughtfully designed, using materials that blend with Brook Cottage and the neighbourhood. The new dwelling is set 9.7m back from the road, further away than the existing dwelling, as shown by the green line on the Proposed Site Block Plan. This softens its impact on the street scene, which is also helped by the tall hedge that runs along the boundary. The proposed design is heavily influenced by the neighbouring property of Brook cottage. Shapes and sizes of key features have influenced the design of the building. The most prominent feature being the white render, which will be the biggest link between the two buildings. The lower portion of the house itself will use rough dressed building stone similar to that of boundary wall to provide consistency within the setting. This gives the build a link to its natural setting, again allowing it to blend easily into the site. To soften the impact of the property, the use of more natural materials such as timber cladding, Sedum roof and a vertical garden is proposed. The concerns with this development must be the propensity of the site to flood. It is clear of Flood Zone 2 but flood waters do back up Fishmore Brook. 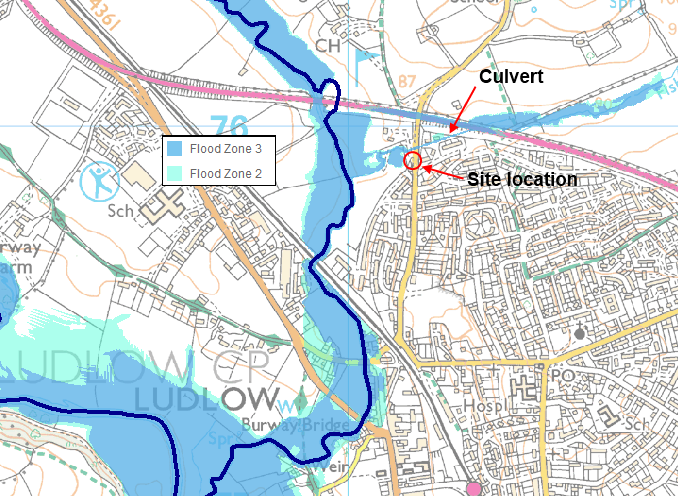 But I don’t see that it will add to flood risk nearby or downstream, particularly with a green roof. I won’t be commenting on this application in detail until I have time to talk to the owners of Brook Cottage and neighbours. As always, let me know your views.